Unless you’ve been living under a rock, you will have noticed that in 2017, InsurTech became a global phenomenon. 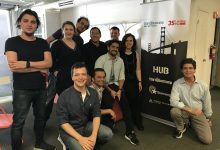 A clutch of key hubs including London, Berlin, Cologne, Munich, Singapore, New York and San Francisco have emerged as well as new programs such as Hartford InsurTech Hub powered by Startupbootcamp in Connecticut. While each has its own characteristics and appeal for entrepreneurs and investors, column inches have been dominated by the products and their potential – less so the specifics of where they are, and why. While the origin of the founders often dictates where these fledgling businesses arise, there are regional trends. Some of the differences are either so subtle or in such a state of flux as to be indistinguishable, but there are a number of crucial distinctions. Here’s a look at some of them. The fundamental approach to insurance is different in the US compared to Europe; so too are the startup cultures, which impacts the surrounding InsurTech ecosystem. In essence, the North American stereotype is of higher tolerance to risk. Certainly, opportunistic investor attitudes, larger deal values, and the historic success of the US in producing $1bn startups (or ‘Unicorns’) suggests that expectations – and the associated risks – are higher. Coupled with intermediated and largely undisrupted insurance distribution models, this has impacted opportunities to disrupt both the customer experience and the value chain. As a result, even though in absolute terms more startups are launched in the US market, it remains at a different stage of development in terms of the InsurTech ‘wave’ that has already reached – and partially broken – on the other side of the Atlantic. There are thousands of startups out there. Accounting for all sectors, we estimate that we at Startupbootcamp monitor 500,000 to 600,000. There are over 175,000 startups in North America and 120,000 in Europe. 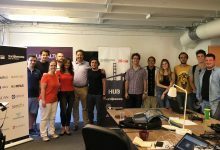 The two preeminent global markets have a comparable number of startups going through accelerators according to 2016 figures from Gust.com, with around 3,300 in the US & Canada and 3,700 in Europe. They also boast a similar number of accelerator programs with 178 and 193, respectively during that year. The difference is in funding, with North American startups tied to such programs receiving twice the sum ($107m vs. $50m) compared to their European counterparts for those programs which reported numbers. There are additional market forces at work, driven by investors. Focusing more specifically on two dominant locations in the US – New York and Silicon Valley – both are expensive in which to operate, which increases the need to raise significant capital. Historically, US-based startups have been dependent on Venture Capital money in order to fund consecutive rounds of growth in a large, mature and highly competitive market. 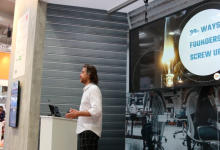 As a result, there is a greater emphasis on vision and ideas, as opposed to tangible products. In Europe, startups tend to achieve substantial funding only after they have achieved some kind of traction, which increases the pressure to become revenue generating earlier in the businesses’ evolution. The result of this environment is that European startups suffer less from equity dilution and enjoy greater autonomy, which makes the region better equipped to deliver propositions focused on niche markets, and more likely to pursue partnership models. Geography adds further variations between the two markets. Language barriers naturally force startups to consider and deal with translating their technology, as do any significant cultural differences in terms of achieving product market fit. By the same token, European startups have the constraint – and potential benefit – of validating their proposition and processes in their native market before deploying in other countries. 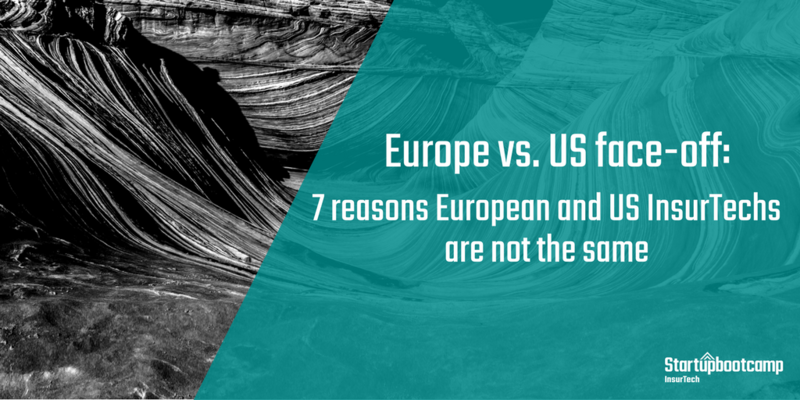 The lack of potential scale in any specific European country also compels startups to think differently from their counterparts in the US, where a largely captive market already exists – assuming all regulatory hurdles can be overcome. It doesn’t make the headlines but it’s the hard, cold reality that often dictates whether or not a startup can ship and scale its product. In Europe, big-ticket legislation such as Solvency II, GDPR (the General Data Protection Regulation) and the IDD (the Insurance Distribution Directive) weigh heavily on industry thinking, and there are a number of successful startups focusing on solutions in this area. The UK regulator, the FCA, with its sandbox initiative is generally regarded as more forward-thinking than its US counterparts – or at least the vast majority of the 50 US regulated states. Unsurprisingly, many of the US’s best funded or highest profile InsurTechs are based in New York, one of the heaviest regulated states. These include Oscar, Lemonade, PolicyGenius, Jetty and Slice Labs, who were able to convince the regulator of the value of their distinct, consumer-driven approaches. By contrast, the best evidence of the impact that a lighter regime can have is Chinese behemoth ZhongAn, which sells 13,000 policies a second. With the freedom to test and deploy products at speed, it has been able to fulfill the needs of a vast and underserved market, and in 2017 raised $1.5bn at a valuation of $10bn. 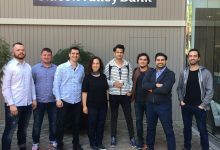 The success of startups like Lemonade is linked, to an extent, to the nature of its investors; more broadly speaking, this reflects Silicon Valley’s long-established reputation of channelling funds into ventures that show great potential. 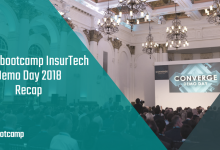 As Liam Gray, Head of Research and Partnerships at Startupbootcamp InsurTech says, “Investors are making the market in the US, while insurers make the market in Europe”. In terms of profile, motive, appetite and number, the US still remains the best place to raise large sums of capital. This is demonstrated in terms of total deals and total investment, but the gap is narrowing with European investors such as Accel Partners, Anthemis Group, Octopus Ventures, Partech Ventures and Orange Growth Capital, making significant outlays in the past two years. Investment is also proliferating from within the sector – and across both major geographies – from VC and strategic arms of incumbents including AXA Strategic Ventures, XL Innovate and Munich Re Digital Partners. Also, depending on the stage of the investment – in particular, early stage – London is generally a better place to do InsurTech business given its leading global position as a centre for insurance and for insurance domain expertise. In parallel, investors are also playing the diversification game, broadly moving away from the US market and its strong focus on healthcare propositions, and towards Europe and Asia. If the most persistent trend in InsurTech is the move to partner with incumbents (a recent report from Capgemini found that over 90% of insurers included this in their plans), not far behind is the move from traditional to emerging technology including AI (Artificial Intelligence), automation, connected devices (the Internet of Things) and blockchain as well as new business models that are far more customer driven. This accounts for the lion’s share of investment from a range of sources – including incumbents, looking to build out capabilities that can be leveraged across their existing business operations. In terms of proposition type, our figures show that approximately 16% of US InsurTechs founded since 2000 can be classed as insurers (including underwriting), compared to at least 20% in Europe. Though there are some notable exceptions in Europe (including UK-based Neos), in the US it is more common for InsurTechs to test and build their own hardware and solutions. However, Europe appears to be more advanced in terms of disruption driven by customer-centricity, mobile engagement and digital claims; as a result Europe is positioned, according to Insurance Nexus as “above trend on the IoT-for-insurance adoption curve, at least in terms of current platform implementation”. The UK and Italy lead in this area with their adoption of telematics solutions. The vast majority of high profile European InsurTechs have already either partnered or intend to partner with an incumbent. The pattern is broadly similar in the US, although depending on the proposition, there are pockets of direct, distribution-driven disruption. 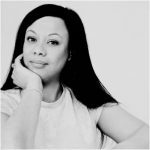 Some commentators have suggested, however, that these cases have received disproportionate amounts of publicity because of their exceptional nature. In terms of total funding by geography, we are seeing a move away from traditional US dominance. In 2016, the US accounted for almost two thirds (63%) of InsurTech deals, with Europe’s big three – Germany, the UK and France – accounting for just 14%. In the first two quarters of 2017, this balance started to redress: the US accounted for just 45% of transactions in Q2 2017 as the total number and volume of funding continued to rise across the globe to almost $1bn. The UK in particular is a hotbed for seed and smaller Series A fundings, accounting for 30% of European market share, with Paris and Berlin next on the list. Experts note that typical deal sizes remain small, due to the maturity of the market; more than 75% of InsurTechs have been founded since 2010. The most obvious difference between the US and European markets, which impacts upon InsurTech strategy, is distribution. The US remains a largely intermediated personal lines market while Europe (and in particular the UK) features a mix of direct and brokered channels, driven by the emergence of Direct Line in the 1980s, and price comparison websites in the 2000s. With the existence of a direct to consumer channel, experience and engagement are key to differentiate propositions; this has resulted in a more sustained focus on customer centricity, although a number of commentators note the gap is closing. Part of the reason for this change is because the initial InsurTech front line has materialised, perhaps unsurprisingly given its tangibility, at initial customer touchpoints aiming to reduce friction and improve the user experience. In the aggregation space, for example, this includes SME-focused Next in the US, which raised substantial funding in 2017. Other emerging business models are impacting distribution on both sides of the Atlantic. 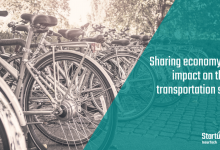 This includes Peer-to-Peer (P2P) and customer segmentation offerings like Germany’s Friendsurance and the UK’s Bought By Many, which have changed the way consumers not only fund, but also find their insurance. In parallel, the rise of live agents and chatbots, increasingly deployed via social media channels, means that the key intermediate value-add of advice (and to a lesser extent, convenience) has been rapidly eroded. Crucially, for incumbents, focusing on the consumer touchpoint and emerging technologies, such as AI, unlocks adjacent value (such as claims management), laying the path to profitability. Ultimately, we expect to see the two markets of the US and Europe converge in distribution terms, with the integration of InsurTech partially driving this process. On a related note, the twin influences of investor appetite and the distribution landscape has shaped a significant distinction between the US and Europe: the strategic intentions of its InsurTech participants. In the US, challenger brands like Lemonade, Oscar and InsureOn, equipped with larger marketing budgets, are directly pressurising the existing market – in part because its own disruption is less advanced than Europe due to its structural constraints. As a result, on a relative basis we are seeing more full-stack InsurTechs, creating end-to-end products, in the US compared to Europe. 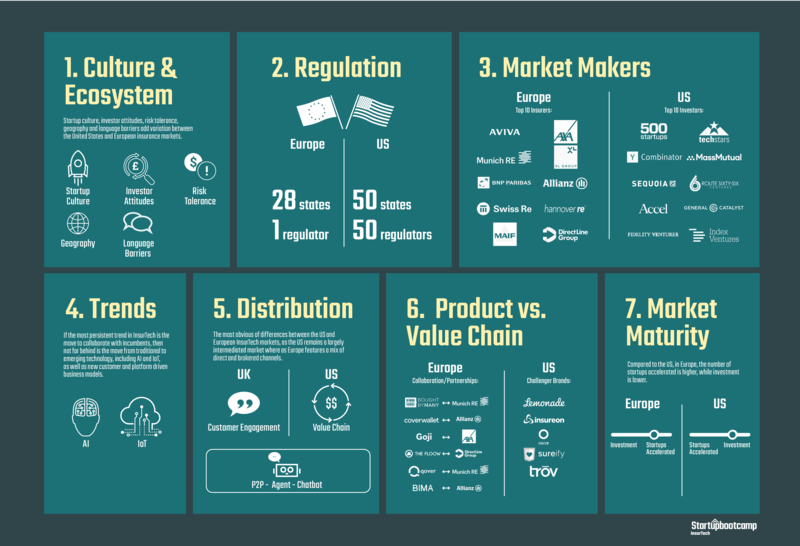 By extension, while the US has traditionally focused on the development of specific revenue-driven products, Europe has a broader mix of InsurTechs attempting to drive efficiency by targeting the value chain. The former features proposition or internet-first business models, while the latter focuses more on underwriting, claims and servicing. The accelerating trend in 2017 was for models that complement or target a specific component in the value chain, and we see this across all markets; Europe, led by the UK, is more advanced in this respect, due to incumbents more readily testing complementary propositions. More recently, insurers conscious of driving profitability in the short and medium term are focusing on innovations (and InsurTechs) that offer broad applications across the value chain – most notably analytics tools, automation, AI and the IoT. While blockbuster funding raises are led by US propositions, AI and IoT propositions tellingly account for an increasingly large slice of the pie. Q1 2017 saw a year-on-year decline in InsurTech funding. This, we observed in Startupbootcamp InsurTech’s Trend Report, could have been symptomatic of the market’s relative youth. In 2016, two thirds of deals were at the Seed or Series A level, suggesting investment dollars have been suppressed by a lack of maturity and scale. It is also likely that some investors have been wary of the potentially inflationary impact of hype on pricing, causing them to temporarily withhold their investment dollars. Recent cases, however, including Lemonade’s $120m Series B raise in December, suggests that may be about to change. The European market is not only larger in terms of population (750m vs. 350m (including Canada)) but also more mature, as evidenced by the more established partnerships between incumbents and startups and a more evenly spread ecosystem of incubators, accelerators and corporate ventures. If the InsurTech wave has indeed broken in Europe, it is still rising in the US. “It would… appear that Europe is not so much the most disrupted of our key regions, [but] the longest disrupted,” a report from Insurance Nexus concluded last Autumn. Historic trends, particularly in the UK regarding distribution, mean that Europe is further along the road in terms of customer centricity. As we have observed, the gradual dissolution of the brokered personal lines model has encouraged the market to innovate with the customer journey and experience. Observers also note that legacy, while a still heavy burden in Europe, is more of a systemic issue in the US, which has impeded the adoption of new distribution models, and encouraged InsurTech to target this space. It is expected that partnerships across personal and commercial lines, both external and internal facing cooperation between InsurTechs and incumbents, together with M&A activity (as evidenced with Digital Insurance Group acquiring Knip) will increase in both markets, and in complex areas where corporate sponsorship becomes more established, such as regulation (Europe) and underwriting (the US), VC confidence and activity will grow. Innovation does not happen in a vacuum, but its characteristics and goals are influenced significantly by the location in which it occurs. While the dominant Western axes appear to be set, and a broad pattern of convergence is occurring between American and European geographies, emerging markets led by Asia – in particular Singapore, China and India – in serving the underserved, and being less encumbered by decades of legacy, could ultimately disrupt the disruptors.